It seems to take me much longer than most people to accumulate a selection of empty products for these posts! It's been over two months since my last one, but I've finally finished off a few products so it's time to share my final thoughts with you! Makeup generally takes me the longest to use up. I'm really sad that my Inika Mineral Foundation has come to an end, although I doubt I will be able to manage too long before repurchasing! It's by far the best mineral foundation I've tried and even though I'd prefer something cheaper, the performance and length of time it lasted me (almost a whole year!) really makes it worth it! You can check out my full review here. Since I've not been well with the worst cold for the past couple of weeks, lip balm has been even more of an essential than usual and I've managed to finish off two tubes of S.W. Basics Lip Balm. They're not my favourite lip balms as they melt really easily and I prefer something that's a bit more balmy in texture (if that makes sense!) but I did still like them and they get the job done! For haircare, Yarok Feed Your Ends is my latest empty (reviewed here). I had this 2oz travel size bottle for about 5 months, using a small amount just once or twice a week after washing my hair. It only costs £5.50 too so it's amazing value for money and I already have a back-up - I'm sure you know by now that I love this stuff! I've also finished off my bottle of Desert Essence Tea Tree Replenishing Shampoo. I rotated this shampoo with a couple of others so, again, it took me a long time to use up! I get on well with this one so I will probably repurchase in the future, but I'm trying out a different tea tree shampoo at the moment. A while ago I reviewed a couple of super luxurious body washes from Patyka* and the Iris Wood scent if the first of the two to run out. I quite liked the mild floral scent of this one, but at the high-end price of £28 it's definitely not something that will making it back into my bathroom any time soon... body wash is one of those things I prefer to keep budget friendly! Lastly, there's a travel size (40ml) of one of my favourite balm cleansers Balance Me Cleanse & Smooth (reviewed here). It works perfectly to remove my mineral makeup and always leaves my skin feeling smooth and hydrated. I haven't been without this product in my stash for over a year now so you know I really love it and of course I already have another travel size tube ready and waiting to take away with me over the holidays! I'm super interested in the Inika foundation after reading this, I haven't heard anything about it before. I'd also like to try that tea tree shampoo! Try TK Maxx or Home Sense for Patyka...I found a couple of their body oils in there a few weeks ago! Great collection of empties! I haven't tried anything except for the SW lip balms. 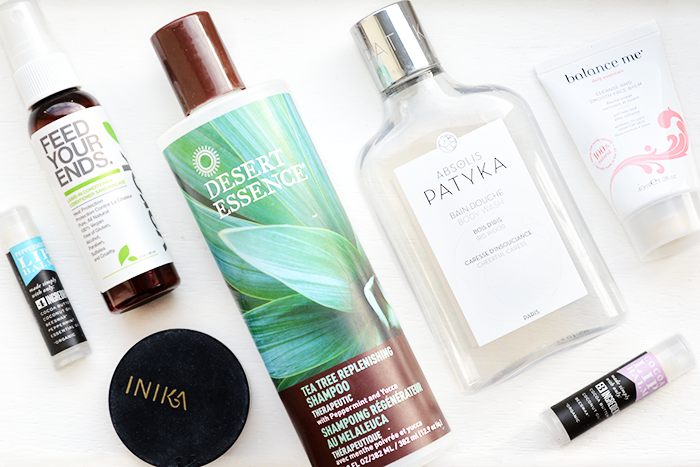 The Patyka body wash sounds lovely! This is a wonderful compilation of products. I am definitely hoping to try Inika and more from Yarok. It takes me forever to accumulate enough for an empties post, too! Especially in the makeup department. I take ages to use things up too! Then lots disappear at once lol. Will be heading over to check out your review of the Balance Me Cleanse & Smooth, sounds like a really good cleanser, especially for removing makeup!